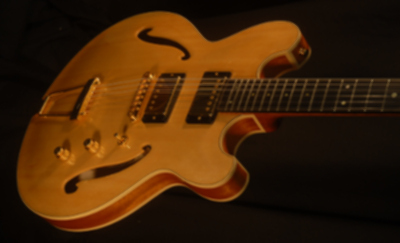 This model is semi hollow construction, with easy access up to the 24th fret. 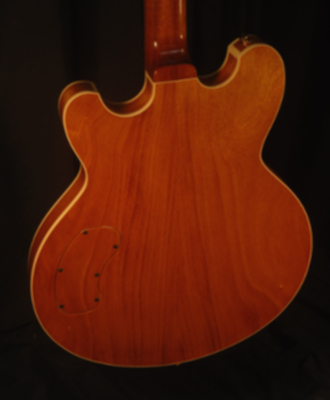 Unlike most semi hollow instruments this had hand carved solid wood top and back, not the pressed plywood construction generally used. It is carved in a manner to allow a more resonant response but without the tendency to the uncontrolled feedback of a fully hollow electric guitar. 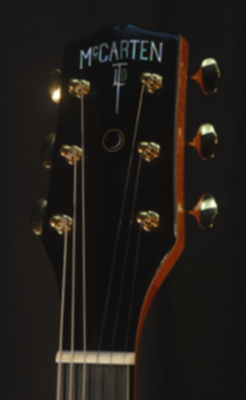 This example has a Sitka Spruce top and Mahohany back, sides and neck.